The incidence of breast cancer in Asian countries is still small compared to in the United States, but it has tripled in the past three decades, according to the World Health Organization (WHO). Furthermore, women in Asian countries tend to contract the disease earlier in life—and tend to die from it more frequently. With many Asian countries seeing rapid increases in the incidence of breast cancer and mortality from the disease, patients need a combination of cutting-edge screening techniques, diagnostic and therapeutic devices, and effective treatments to combat the disease. Device makers and pharmaceutical firms from the United States and Europe are gaining market share in the region, and are working with government and private providers to respond to the growing demand. Throughout Asia, breast cancer tends to be diagnosed more frequently among younger women. In Asian countries, the peak incidence age for diagnosis of breast cancer is between 45 and 50, which is 10 years younger on average than in the United States and Europe, according to the WHO. And in more than a quarter of the cases, the disease has already progressed to its more dangerous stages by the time it is detected. South Korea has been particularly affected, perhaps because of its adoption of a more Westernized diet. Over the past 25 years, the nation has experienced an 83% overall increase in mortality rates from breast cancer across all age groups. In contrast, the United States and most European countries saw a marked decrease in breast cancer mortality over the same period. In Malaysia and Thailand, between 40% to 50% of women who contract the disease die of it. In China, more than 30% of patients have stage III breast cancer when they are first diagnosed. The high rates of breast cancer incidence and deaths from the disease are likely due to a variety of factors, among them limited access to breast cancer screening. In addition, more than 70% of Asian women have dense breast tissue. Such breast tissue is associated with a higher tendency to develop breast cancer, and with the likelihood that breast cancer can go undetected for longer. As the need grows for breast cancer screening, diagnosis and treatments in the Asian markets, so does the response from medical device manufacturers and pharmaceutical firms. By 2023, the size of Asia’s breast cancer screening market alone is predicted to exceed $4.4 billion. 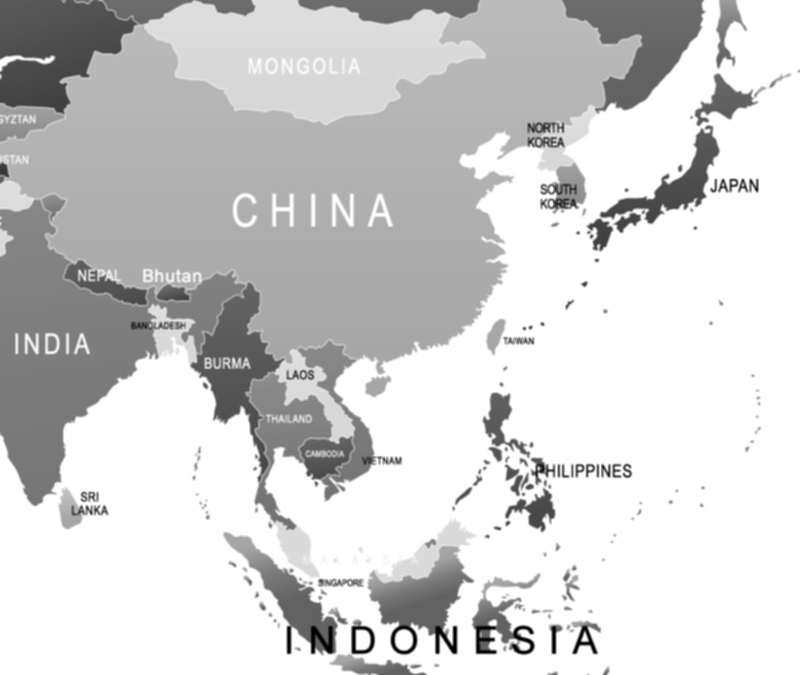 Currently, China controls about 72% of the mammography screening market in Asia, and firms based in Japan and South Korea also have a significant presence. But Western companies are making incursions in Asian markets. Among them are manufacturers of diagnostic devices, screening devices and radiation treatments. Hologic, a medical technology company based in Marlborough, MA, has had a firm place in the Japanese breast cancer market since 1992, selling a suite of diagnostic devices. Two years ago, it introduced its Selenia Dimensions Mammography System to Japan. In April 2018, Hologic first brought their system to China, presenting it at the International Medical Devices Expo in Shanghai. Like other 3-D mammography systems, Hologic’s product uses high-powered computing to convert breast images into a stack of thin layers. The images are more clear and detailed than traditional mammography images, especially in mammograms performed on women with dense breast tissue. According to Hologic, their system also has the lowest radiation dose of x-rays among mammography systems. Another 3-D imaging technology making rapid incursions in the Asian market is the Automated Breast Ultrasound System (ABUS), first developed by a consortium of three companies in 2013. Like mammography, ABUS uses high-frequency sound waves targeted at the breast, providing physicians with a 3-D volumetric image of the entire breast. These 3-D images benefit women with dense breast tissue because they allow radiologists to examine breast tissue from a variety of angles and offer a better interpretation of what they see. ABUS exams are also much shorter than traditional ultrasound, and more successful than traditional mammography in distinguishing tumors from healthy masses in dense breast tissue. Since the ABUS technology was developed, it has been particularly popular in China and Japan. GE Healthcare launched sales of their ABUS technology, Ivenia ABUS, in Japan in 2014. Several months ago, the company’s Chinese subsidiary signed an agreement with Wanma Technology Co. of Hangzhou, China. Under the agreement, Wanma is to establish more than 30 diagnostic centers using Ivenia ABUS in China’s major provinces over the next three years. Other breast cancer diagnostics device manufacturers are also making inroads in Asian markets. Cyrcadia, Inc., based in Reno, Nevada, plans to launch sales of its wearable early breast wellness screening device, iTBra, through its Hong Kong subsidiary. The company plans a further expansion into China, Indonesia, Malaysia, the Philippines, Singapore and Thailand before the end of the year. According to Cyrcadia, the product is more than 80% accurate in detecting breast cancer for the densest breast tissue, compared to traditional mammography, which only has a 50% accuracty rate for that class of breast tissue. In May, Agendia, Inc., an Amsterdam-based company that was founded as a spin-off of the Netherlands Cancer Institute / Antoni van Leeuwenhoek Hospital in Amsterdam, announced a partnership with Singapore’s Angsana Molecular & Diagnostics Laboratory to launch its two personalized breast cancer test kits in Southeast Asia. According to Agendia, their MammaPrint Breast Cancer Risk of Recurrence test is an in vitro device that uses the gene expression profile of breast cancer tissue samples to evaluate patients’ risk for metastasis. The BluePrint Molecular Subtyping test helps determine the best course of treatment for patients by evaluating how well a particular cancer is likely to respond to chemotherapy. As the market for improved breast cancer screening and diagnostics is growing at a fast pace across Asia, so is demand for therapies to deliver radiation and other forms of treatment. The current market for breast cancer therapeutics includes chemotherapies, hormonal therapies and targeted therapies. Among the companies making inroads is iCAD, a medical-device manufacturer based in Nashua, NH that makes cancer detection and radiation therapy devices. In August 2017, XOFT, a San Jose, CA subsidiary of iCAD, received approval from the China Food and Drug Administration (CFDA) to market a radiation therapy system it developed for treating early stage breast cancer. The product, Xoft Axxent Balloon Applicators, is the key component of the Xoft Axxent Electronic Brachytherapy (eBx) System for intraoperative radiation therapy (IORT). According to iCAD, IORT with the Xoft System allows physicians to deliver complete radiation to a breast tumor site during a lumpectomy procedure to remove a small breast tumor. The balloon applicator is used to deliver a single and precise dose of radiation to the lumpectomy cavity. It is designed to directly target cancer cells and minimize the exposure to the surrounding healthy tissue. With breast cancer increasingly affecting women in the Asian countries, the markets are seeing a rapidly growing demand for effective screening, diagnosis and treatment products. Western medtech companies have the opportunity to bring much-needed devices targeted for the disease into Asia to help patients across the region.